Squared men’s frames in a full rimmed metal design. 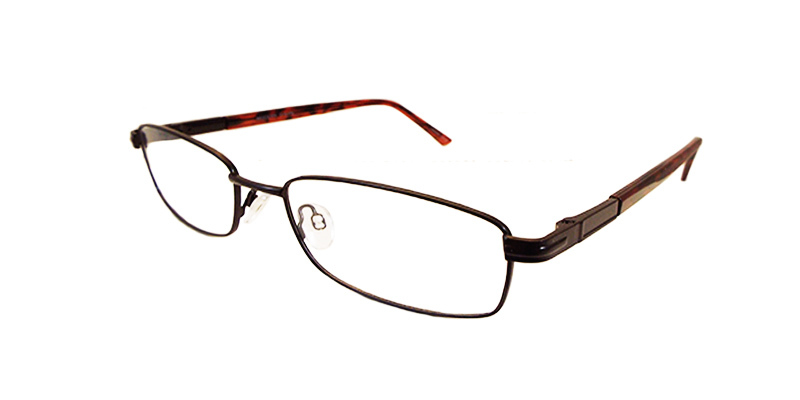 The frame face and arm style together for a dimensional two toned look. Select from matte black and tortoise matte brown and tortoise or matte gunmetal with black.